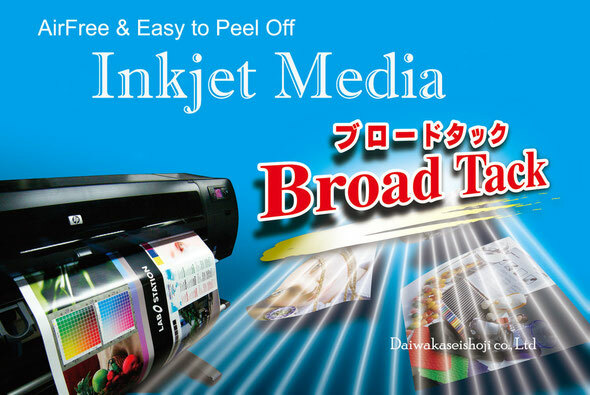 Inkjet Media - Daiwakaseishoji Co.,Ltd. Broad Tack is bubble free inkjet media superior in letting air go. Broad Tack is registered trade mark of Daiwakaseishoji Co.,Ltd. 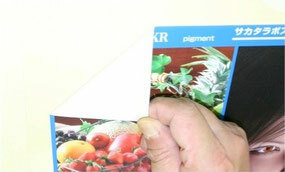 ※Transparency adhesive is produced on order. 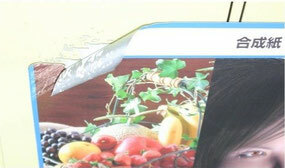 Easy to peel off without any dirt on the surface!! In case of general tack sheet, the pasts remains. But Broad Tack doesn't remain. The working efficiency improves at the time of repapering. The adaptability with the INKJET PRINTER is as followings. Please be careful not to touch printing surface by bare hand. Appropriate setting up is required in outputting to inkjet printer. Please read mannual of the printer. When using for outdoor purpose, please laminate printed media by over-laminate film after checking the property of the over-laminate film. In case of having difficulty in peeling off after use, please add heat by steam, hot-air generator and so on. Then you can peel off smoothly. Please kindly note that technical data, recommendation which we provide is test result on the basis of a certain standard, but not guaranteed value. Please refrain from sticking on the surface of soft vinyl. There might be problem in peeling off. Please do not stick on easy to peel off painted surface, or paint migh be peeled off and the color might change. We fully pay attention to quality, but in case any problem obriously caused by our product occurs, we will replace with new product.